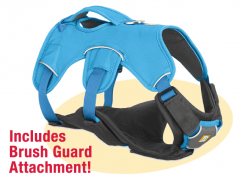 Worried about your Tripawd bouncing around in the back of your SUV when you’re on the road? Don’t! 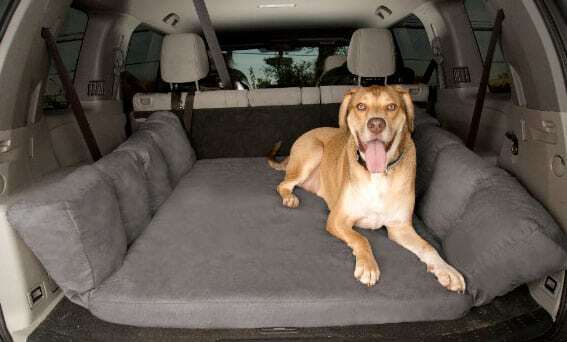 The Backseat Barker SUV Dog Bed is all the cushioning your pup needs for a smooth ride. This posts contains Amazon affiliate links. A small portion of any purchases made after clicking on them will help support the Tripawds community! Lots of Tripawds parents love the Big Barker dog bed for their dog. 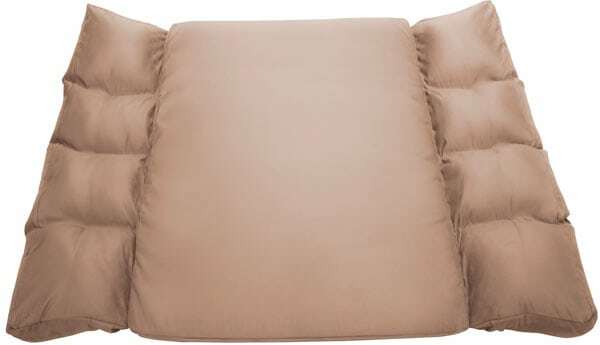 The orthopedic mattress is one of the best available that offers firm but comfy support for all dogs but especially the three-legged variety. And now the great people at Big Barker are keeping Tripawds comfy on the road too, with the Backseat Barker: SUV Edition. 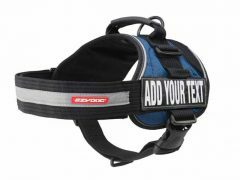 The first ever shock-absorbing dog bed, created for SUV owners who want to provide protection and comfort on the road. Don’t let bumps in the road jar your Tripawd’s joints. This handcrafted mattress has the same ultra-supportive foam technology as Big Barker’s best-selling, five-star-rated orthopedic beds. 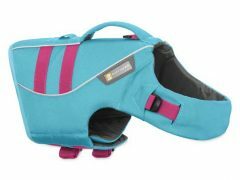 The Backseat Barker is designed to promote canine joint-health and offer comfort on long road trips or quick runs to the grocery store. Save on Big Barker Beds at Amazon! 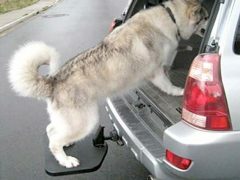 “For a dog lying on a hard, unforgiving trunk floor, every bump in the road can be painful. 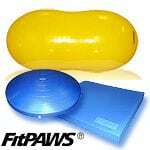 Hard surfaces smash into dogs’ hips, knees, and elbows and they bounce off the floor with no shock absorption. 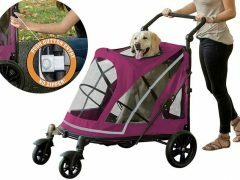 This is especially troubling for larger dogs prone to joint issues,” says Eric Shannon, Big Barker founder and president, in a company announcement. 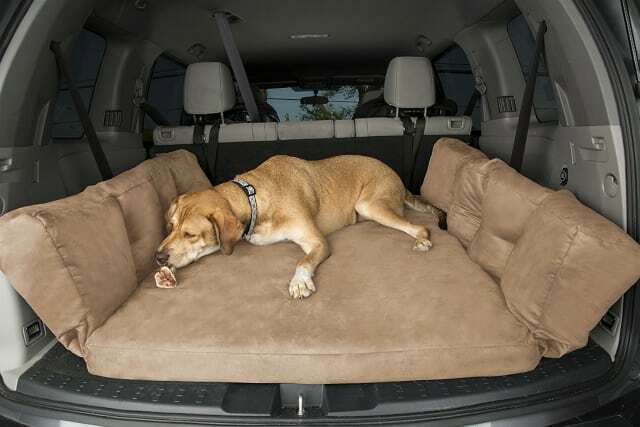 Two-stage foam construction bed features “wings,” which give extra padding for the dog and allow the bed to fit securely and conform around the sides of a vehicle’s trunk. 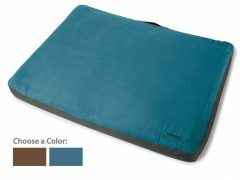 Machine-washable top cover (made of 100% soft microfiber) has hidden zippers that extend a full 70% around the entire bed. 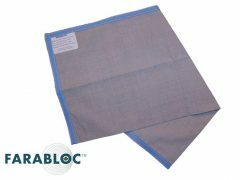 Non-slip material on bottom prevents the bed from moving. 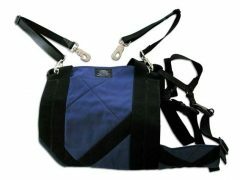 Doubles as a portable travel bed, or use it at home! Made with the highest quality American foam (100% handcrafted in the USA), Big Barker offers a 10-year guarantee that their bedding will retain 90% of its original shape. If for some reason it doesn’t work out for you, you can return Big Barker products for any reason for a full refund, shipping included. Shop Amazon and Save on Big Barker Beds!